Here in Southern California, winter generally means shorter days and longer nights, jackets instead of short sleeves and sometimes clouds and even a little rain. This year has been different. 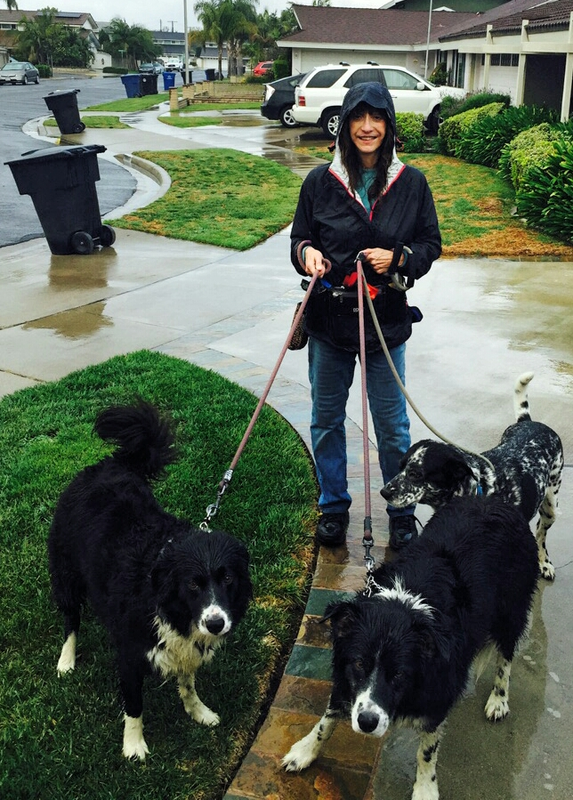 We have seen A LOT of rain (for Southern California), cold temperatures (for Southern California) and even SNOW in our mountains and FROST on our lawns and cars some mornings. What has this meant for our furry friends? Though all animals with fur grow a thicker coat in the wintertime, if your dog or cat is generally an indoor animal then they, like us, will be cold when they go outside, especially if they are out for any length of time. This is the appropriate weather to break out those cute little doggie or kitty sweaters or coats, especially for our smaller or shorter haired friends. Though dogs absolutely LOVE to play in the snow, if you decide to take a trip to the mountains with your pup, and are not familiar with snow and ice, be aware that dogs can get frostbite on the pads of their feet or noses or get injured by slipping, sliding or falling in the snow or on the ice just like we can. If you plan to be outside for an extended period of time or to make several trips to the snow with your dog, we would suggest that your look into snow booties to protect his or her precious feet. Closer to home, we have had a lot of rain and it is still forecast for at least the next few weeks so some common sense suggestions for you and your pup are to time your walks (if possible) to when the rain showers have slowed down, keep towels by the door and on the floor for when you return to dry both yourself and your canine companion, and warm up the house a little before you go out so that it will be warmer to dry wet coats in or, if your dog doesn’t mind, even pull out the hair drier. We are so spoiled here in Southern California. We seldom have ‘weather’ and its fallout to deal with so please take a moment to think about not only its effect on you but also on your pets. Jingle Pups, Jingle Pups, Jingle All the Way! It is that wonderful, crazy time of the year again with decorating, gifts, parties and family gatherings. 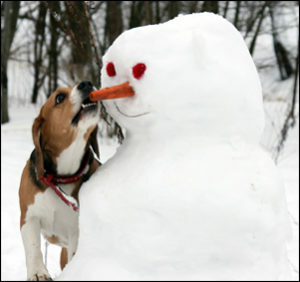 During the holiday season, we can’t forget our furry loved ones! Here are some safety tips and warnings to keep in mind, courtesy of one our local vets at Friendly Animal Hospital in Huntington Beach. Ingesting chocolate can result in agitation, vomiting, diarrhea, high heart rate, tremors, seizures and even death. Some nuts can cause lethargy, fever, vomiting, tremors, joint stiffness and inability to walk. Alcoholic beverages, if ingested by your pets, may cause a host of dangerous symptoms, including coma and seizures. Artificial sweeteners can cause liver failure. Be sure to avoid candies, particularly gum, which may have these dangerous chemicals. Tinsel, ribbons, and similar decorations can cause cuts or obstructions in the intestinal tract if swallowed. Some lights and any lit candles may cause burns or fires if knocked over or if hot wax drips on your pet. Holly, Mistletoe, and Poinsettias may cause irritation, vomiting, diarrhea and heart arrhythmia if ingested, in both cats and dogs. Christmas trees, if not sturdy, can fall and cause harm, and the water beneath the tree can be full of harmful fertilizers. Keep raw dough out of your pet’s reach. If eaten, it can expand in your pet’s stomach and could become a life-threatening emergency. Both baking soda and baking powder are highly toxic, along with nutmeg and other spices, for your pets. 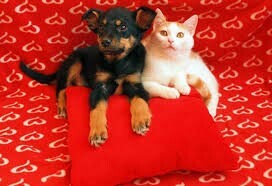 Pets may experience digestive problems, including diarrhea and vomiting, when eating fatty foods. It may even lead to pancreatitis. Bones can cause perforations and constipation. If chewed on, live electrical cords can cause burns, difficulty breathing, seizures and cardiac arrest. Beware of packaging, twist ties, etc. which are a hazard if swallowed. Some guests may be uncomfortable around your pets. 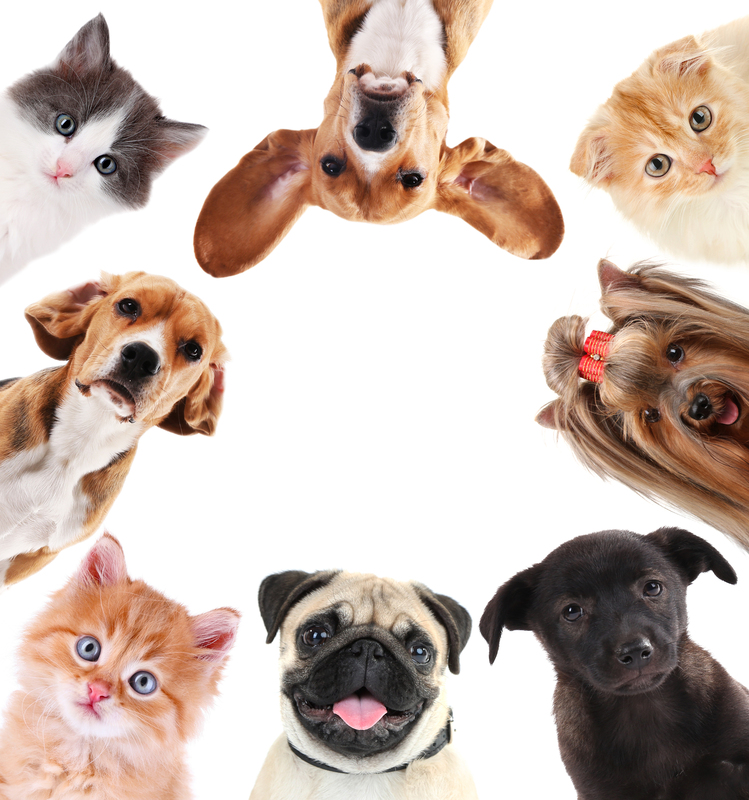 Your pets might also be uncomfortable around groups of unfamiliar people. Keep a separate quiet place for pets during celebrations. 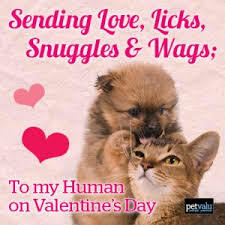 For me, my answer is always my ‘fur babies’. My life is so much richer because of their ecstatic greetings, wet little kisses, and warm sleepy bodies in my lap. Who else gives me such unconditional love and attention? When I am sad, one or the other of my boys will snuggle with me or kiss my face and stay close, comforting me. When I am happy, they jump for joy, chasing each other, being silly and sweet and making me laugh. How very thankful I am that they share my life with me. God knew what he was doing when he made dogs and cats! 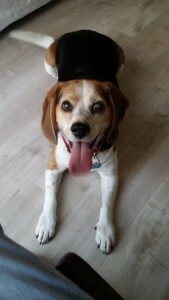 In thinking about this article, I did a little research about the benefits of pet ownership or, more precisely, having a furry family member. 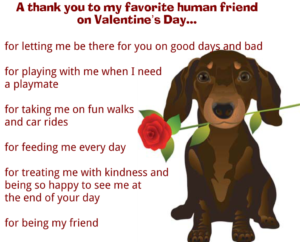 Here’s what I found out, curtesy of the WebMD article titled, “5 Ways Pets Can Improve Your Health” by Jeanie Lerche Davis. 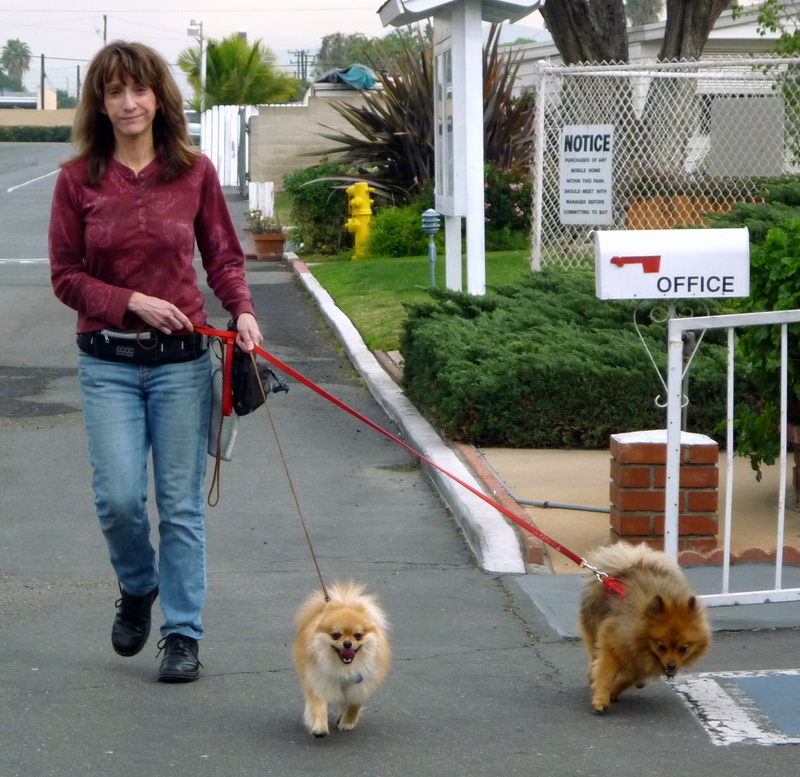 In Ms. Davis’s article she states that pets lower blood pressure, lessen anxiety and boost our immunity. Another benefit of owning pets with fur is, unlike what people thought in the past, regular exposure to their fur reduces allergies. In a study by James E. Gern, MD sited in the article, Dr. Gern found that the children in his study who lived with furbearing pets (dogs and cats) had lesser allergic reactions and asthma that those in the study who did not live with pets. 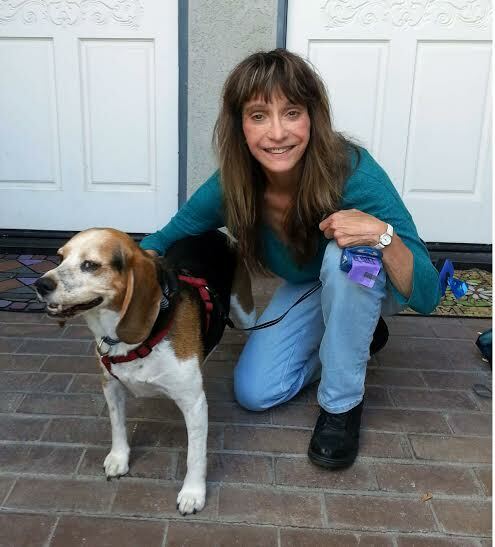 We all know that we feel better when we are with our dogs or cats and according to Lynette Hart, PhD, Alzheimer’s patients demonstrate reduced anxiety when around pets. Playing with a dog or petting a cat can elevate levels of serotonin and dopamine which are nerve transmitters that have pleasurable and calming properties, according to Blair Justice, PhD. Again, according to the article, pet owners have less heart disease – in other words, lower levels of triglycerides and cholesterol. The overall health benefits for pet ownership are well enough documented that Midland Life Insurance Company gives insurance breaks for any pet owners over 75 years old. So, if you are in doubt as to what to be thankful for this Thanksgiving season just look to that furry cuddle-bug in your lap and humbly say, “thank you” for all the blessing they bring to you. Pet Safety Tricks and Treats for Halloween! Orange lights, costumes and Jack-O-Lanterns – that’s right, it’s Halloween again! For many of us Halloween brings us warm memories of spooky fun but from the perspective of our furry loved ones it may be anything but pleasant. In reviewing articles posted from the ASPCA and ASPCA PRO websites, the Purina Company website and the Halloween Safety Guide website, we have compiled a list of four of the most common dangers this holiday presents to our pets. Of course, we all know that chocolate, especially dark chocolate, is dangerous for dogs to ingest. It can cause vomiting and diarrhea. Many types of Halloween candy have chocolate in them so guard that candy bowl. 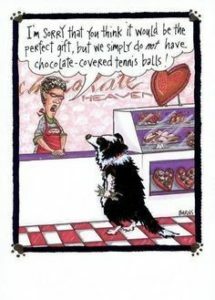 One concern which people don’t always acknowledge is that ANY candy is bad for our dogs to ingest and it is NOT kind to share! Again, expect vomiting and diarrhea. Another concern is sugar-free candy sweetened with xylitol which some people substitute for regular Halloween candy. This may be great for the people celebrating sensibly but for dogs it could be deadly! Please keep all candy, sugar-free included, out of your dog’s reach. Also, even the empty wrappers can be a problem. We have all seen our pups snag wrappers out of the trash to lick the last taste off them and then what happens if you don’t take the wrapper away? It gets eaten! Dogs’ intestinal tracts can be seriously damaged by foil or other wrappers that have been eaten. Last on this list of edibles that are harmful to dogs are, according to the AKC, raisins. Keep them out of reach. The most common decorations typically seen for Halloween are carved pumpkins which often have a lit candle inside them to make them glow at night. 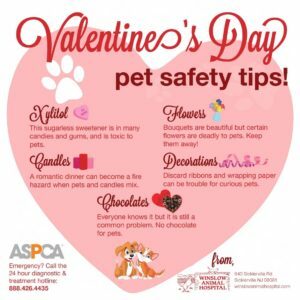 The dangers are obvious – candles can be knocked over by rambunctious pups, swishing tails or curious kitties with disastrous results. One common call to vets and animal poison control on Halloween night, according to the ASPCA PRO, is what to do when a dog ingests a glow stick or glowing jewelry. The liquid that glows inside the sticks will cause a ‘mild and self-limiting taste reaction’. The article suggested that you take the animal into a darkened room and see if there is still some of the glowing liquid on them. If so wipe it off with a soapy cloth so the dog won’t keep licking it and getting sick again. Strings of lights and puppies or kittens don’t mix! Not only might they be chewed on, but a kitten’s playful paws or a pup’s wagging tail can easily break bulbs which in turn could cause all kinds of problems from a mess to clean up to a serious injury or electrocution. For the most part, the non-electric decorations used for Halloween such as pumpkins, dried corn and wheat or corn stalks are non-toxic for pets but could cause some gastric distress if eaten. We all love the way our pets look in costumes but do THEY like being in costume? Some animals don’t mind and some do actually like it but you need to watch for signs of anxiety. You know your furry friends better than anyone else so if they are hesitant and anxious putting them in a costume may be an injustice to them. Which is more important, your pet’s well being or a cute photo op? Even for pets that like costumes there are still some dangers inherent in a pet wearing a costume. Before letting them wear any costume for any length of time make sure that they can breathe properly, see properly, and that no part of the costume could catch on something or in anyway choke your loved one. The other issue for our pets concerning costumes is that it may be very frightening to them being surrounded by all these people with odd shaped hats, heads, ‘tails’ – all these things that distort the way people normally look, especially ‘their’ people. Just be aware of how it may effect your pet. My favorite part of the holiday is answering the door to all those princesses and ghosts that ring our bell. Unfortunately for our four-legged friends it can be nerve wracking having that doorbell ring every few minutes for 2 or 3 hours. One of my dogs would bark herself hoarse until I learned to put her in a back bedroom away from the commotion with the TV on to lessen the noise. Having a ‘safe room‘ or ‘quite room’ in your house is a great kindness for our fur children. Another concern with that front door opening and closing all evening is that of escape. On an evening as crazy as Halloween, even dogs or cats who are indoor/outdoor pets may be frightened and become disoriented if they slip outdoors. If there is a possibility that your dog or cat may get out accidentally, make sure that they are wearing their collar and identification or are chipped in case he or she gets lost. Last of all, if you are a proud kitty mom or dad, especially of a black cat, it is best to keep your baby in a safe place inside for the last few days leading up to Halloween as well as Halloween night because of the rise in ritual abuse or even killing of black cats at this time of year. 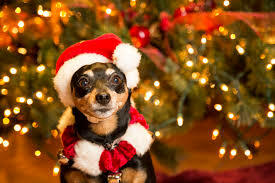 With a little preparation you and your furry friends will have a safe and fun holiday. Happy Halloween! Working in this industry, we fall in love with the animals and treat them as our own pets. 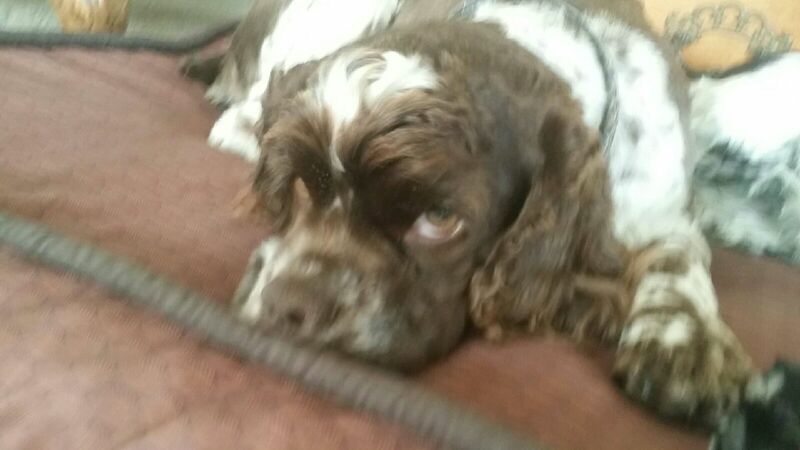 I wanted to take a moment to honor a loved dog, Buster. Buster was a bundle of love. 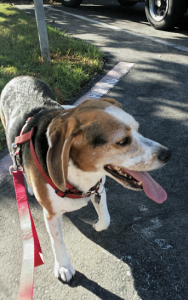 I always looked forward to walking him those four times a week for the last six months. When I opened the front door Buster would run down stairs to greet me and cry for joy so loud that it sounded like he was injured. He just could not contain himself. And I could not contain myself either! I wrapped my arms around him while his tail wagged faster than a humming bird. What did I do to deserve all this love? I just saw him yesterday, but it was like he hadn’t seen me in 10 years! Like putty in his paws I’d fall for his adorable face! He won AGAIN! “Claudia, I’d say to myself, because I’d remember my name sometimes, are going to let him control you?” and I dared not to look in Busters eyes again or that’s it! So, I’d show Buster my empty hands and say “No more Buster” and divert him by telling him “Let’s go for a walk” and put his harness on. As soon as I’d open the front door and he’d spring into life. We were out on an adventure to see what’s up with the world and how we were going to be a part of it. Nobody would know better than his nose! “Which way do you want to go today Buster?” He would zip along and walk me! Calories burnin’, paws prancin’ … we were walkin’ down the road to yellow brick and sometimes brown brick, if there wasn’t grass, with a good supply of poop bags. Buster pulls hard and I’m getting a good workout! Buster had a real spirit. The world could beat me up but Buster accepted me with love that was totally unconditional. He was a precious little angel who filled my soul with comfort and peace. Buster was blessing and he will always be in my heart. 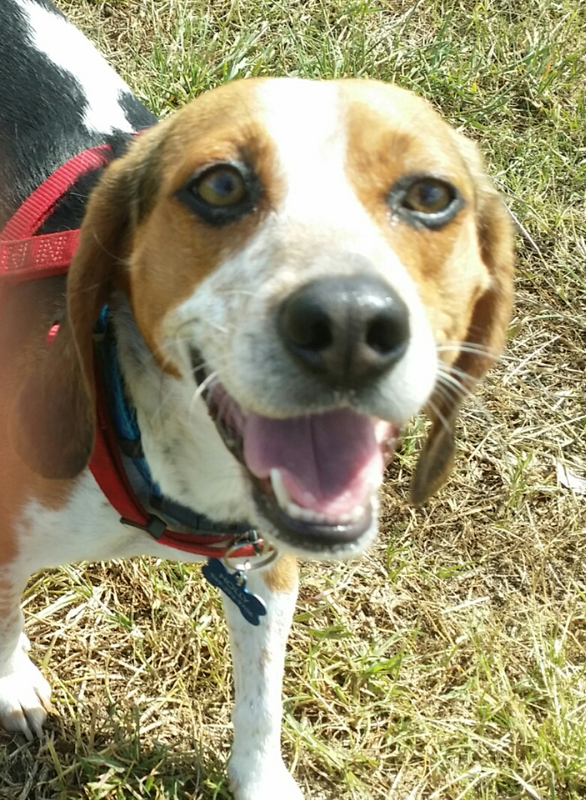 To see more pictures of sweet Buster follow our Instagram and like us on Facebook! We are excited to be able to begin sharing our thoughts and experiences with you through our new blog page. We would love any feedback you can give us so that we can continue to improve our services to you and your furry loved ones! I don’t know about you, but I can’t believe that the holiday season is here already! This is an exciting time of year and we all love to see friends and family but what about our furry friends? For them this is sometime both a stressful and a possibly dangerous time of year and we as their ‘parents’ need to be extra vigilant for their sakes. During this time of year, sometimes, as we rush around busily buying presents, preparing for parties and special family gatherings, rearranging the house and decorating it, we, ourselves, get a little ‘frayed around the edges’. As we all know, our pets are very sensitive to our moods and feelings. Not only do we have less time to spend with them but often when we are home we ourselves are more stressed than usual. Their stress may translate into more shedding, more hiding, more accidents and even more chewed up shoes or pillows or other ‘mischief’. If you start to see the indicators, step back, take a breath and spend some quality time with your furry loved one. BOTH of you will benefit from a little love fest! Doggy moms and dads need to be extra careful when party time and the family gatherings roll around. Chocolate desserts, hot chocolate drinks and rich chocolate candies are a part of the season which we all love. Who hasn’t put out a bowl of M & Ms or a platter of Aunt’s Martha’s special brownies during a party? 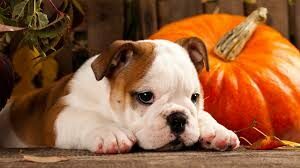 But these foods which are treats for us can be very harmful to our dogs if they get even a small amount. Chocolate is poisonous to dogs and can cause liver and kidney damage and even death. Kitty and doggy moms and dads need to be aware of three seasonal plants that are mildly to seriously dangerous to both cats and dogs. According to the Pet Poison Helpline, these three are lilies, poinsettias and mistletoe. They say that there are dangerous and benign lilies out there, and it’s important to know the difference. Peace, Peruvian, and Calla lilies contain oxalate crystals that cause minor signs, such as tissue irritation to the mouth, tongue, pharynx, and esophagus – this results in minor drooling. The more dangerous, potentially fatal lilies are true lilies, and these include Tiger, Day, Asiatic, Easter and Japanese Show lilies – all of which are highly toxic to cats! Even small ingestions (such as 2-3 petals or leaves) can result in severe kidney failure. Concerning poinsettias, the Pet Poison Helpline says that while poinsettias are commonly “hyped” as poisonous plants, they rarely are, and the poisoning is greatly exaggerated. When ingested, mild signs of vomiting, drooling, or rarely, diarrhea may be seen. If the milky sap is exposed to skin, dermal irritation (including redness, swelling, and itchiness) may develop. The last of the three is mistletoe. The Pet Poison Helpline says that there are several types of mistletoe which can be poisonous to pets:Phoradendron serotinum (American variety) and Viscum album (European variety). The American mistletoe is less toxic than the European varieties of it. Berries from this holiday plant contain polysaccharides, alkaloids, and lectins. When accidentally ingested by our pets, mistletoe poisoning can result in mild signs of gastrointestinal irritation (e.g., drooling, vomiting, diarrhea, abdominal pain). When ingested in large amounts, abnormal heart rate, collapse, hypotension (low blood pressure), ataxia (walking drunk), seizures and death have also been reported. So have fun. Enjoy this special time of the year but don’t forget to help your furry friends to enjoy it, too!